Home Personal DevelopmentLooking for Love? Don’t Get Cuffed! It’s that beautiful time of the year when the leaves begin to turn those gorgeous earthy colors of brown, gold, dark green, orange, and deep dark yellow. The weather starts to cool down (well it’s a bit slow here in the South), and the fashion styles begin to change. Slowly we begin to release any remnants of Summer’s warm weather and waterside relaxation. The fall season is also a time that if you’re single, your mind begins to start working overtime about holiday plans, invitations and parties and whether you’ll have that plus one to go with you. Or like many people, you may feel that strong urge to snuggle up with “someone” on those long cold winter nights. If you’re looking for real love, and not the temporary seasonal type, then I suggest you avoid being “cuffed” this season. And I’m not talking about the legal version where your local authorities are placing you in the back of a squad car. Nope, I’m talking about YOU being that short-term warm body or pseudo partner for someone who has no intentions for a long-term relationship. At least at this time. Now hear me out, if you don’t mind having a nice cozy warm body and partner in crime for the fall and winter holidays, then enjoy! You can stop reading the rest of this post and start planning your rendezvous. But if you NEED and want more, then keep reading. The thing about cuffing is that you need to be first aware it’s happening, then on board and OK with it happening so you can enjoy it for what it is. Otherwise, if you are thinking this longer than usual hook-up will lead to something meaningful and long-term, don’t count on it. There are many suggestions by experts and studies to suggest why we cuff, such as the 2012 study for the need for physical and social warmth, research by Dr. Jusin Lehmiller that men’s sexual attraction changes with seasons (winter being peak), and other studies demonstrating that cold weather makes us more amorous. Not mention most babies are conceived during the winter months. There’s lots of information and research out there folks. Keep your head on straight and your heart protected during the cuffing season. You don’t have to be bored and alone this season so get out and have fun, but keep your wits about you. The chances of finding someone who’s looking for something other than real love are very high. Now, I’m not saying you won’t find a cuddle buddy that blooms into a friendship or possibly more. People have been brought together under a variety of scenarios and found love in the most hopeless of places. But don’t depend on the cuffing season to produce that kind of love and magic. Instead, I suggest you do your due diligence and make sure you are relationship ready. If you’re single and ready for a real relationship that can go the distance and want to prepare yourself to attract an ideal match, then subscribe and be the first to know when my program: Love for Life 360: The Ultimate Relationship Readiness Program starts again. My program is a practical, step-by-step method that heals, empower you and effectively helps you attract the most compatible ideal partner. So make this your season to prepare for real love. Then change the ending of your Love Story! Want to know when this programs starts again? How to know when the person you love just isn’t the one Everyone wants to experience love – especially if it’s a person that we believe could be the “One.” Many of us spend our lives looking for that one person who is the perfect match to our interests and personality and will stand by us through all of life’s ups and downs, loving us unconditionally and faithfully. 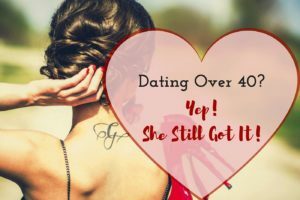 How to Ease Back into Dating Over 40!